Tennis simulations have always been a difficult one for me. Too often there’s something that lets them down. The usual problem has always been overly-simplistic controls, which, when you watch the sport properly, is obviously flawed and restricting. Tennis is a game of considerable skill and strategy, there’s much more to it than just returning a ball. It’s a bit like snooker, where every care has to be given not just to make your shot, but to consider where the ball is going to end up. To some people, Association Football is the beginning and the end of sport. They don’t have the time, patience or intelligence to look at other sports, and often abuse them whilst not really understanding the finer points of what makes a sport entertaining or exciting. Tennis, Rugby, Cricket, Golf, Darts and many other sports suffer this prejudice. Sega changed all that. 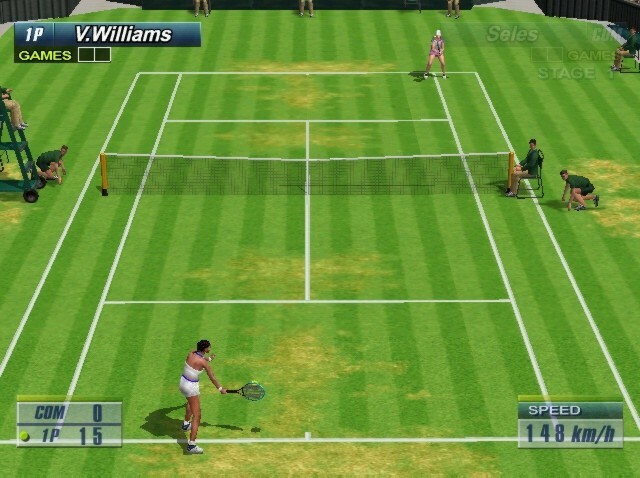 Virtua Tennis was the first Tennis game I played that actually felt realistic. You could now place your shot and control your spin like never before, bringing into life the reality that simply returning the shot wasn’t going to win you a point, you need to BEAT your opponent. Couple that concept with excellent graphics and animation, finely balanced difficulty and superb AI, and you’ve got a cracker of a game, right? Well, naturally! 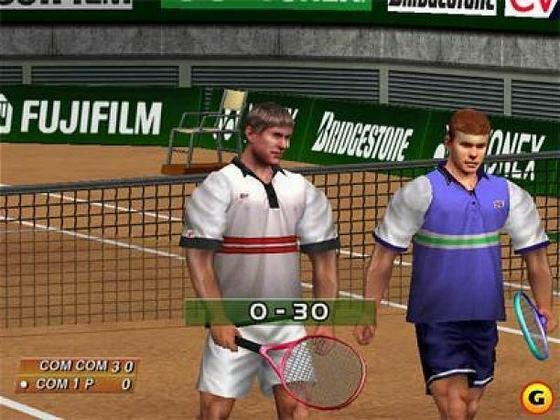 Virtua Tennis should have been a smash (pardon the pun! ), and given that nearly every Dreamcast owner had this game, it is such a shame there weren’t more Dreamcasts sold. Successful enough in the arcades, the Dreamcast version was streets ahead of most games you had ever been able to play at home, and set the bar for sports simulations at an all-time high. In fact, until the release of Virtua Tennis 2, I don’t think anything came close to it in terms of sheer quality and enjoyment. The big question for me is how do the very latest games in the series compare to the original? I will hopefully be finding out very soon, but for now, Virtua Tennis has stood the test of time in my book. There’s not an awful lot else I can actually say about this game. 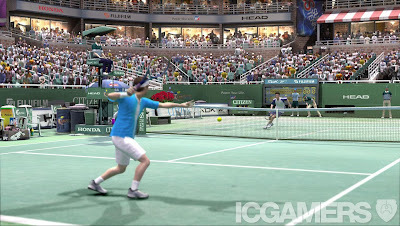 Tennis is tennis is tennis, and those rules don’t change, but for those that like a bit of variation, there’s Singles and Doubles matches available, the computer AI is more than a balanced challenge at every level, and as well as the famous Arcade mode, there’s also a World Championship option where you have the chance to improve your skills and enter tournaments around the world. There’s the unlockable content, too, such as stadia, clothes and doubles partners. The animation is silky-smooth and the physics are scarily life-like, with players skidding, being wrong-footed and, if you’re not quite positioned right, making awkward shots that don’t always go to plan. 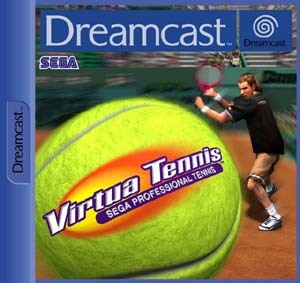 In conclusion, Virtua Tennis is a game that you may overlook, especially if you're not a tennis fan, but if you do, be aware that you’ve missed out on something special. I really loved this game!